This is a warning to one and all — starting February 24, the majority of India will be hit by a fever. This condition is highly dangerous and, worse still, it has no known cure yet. While the effects of this fever last for life, its symptoms manifest at specific times of the year, specifically between February 24 to May 29 in the year 2016. February 24 will mark the beginning of this year’s cricket season and, like always, “cricket fever” will not just be limited to the stadiums. You know we’re not exaggerating when we say that Indians live and breathe cricket, and with back-to-back cricket action from the Asia Cup, the T20 World Cup and the Indian Premier League, complete craziness will ensue. India is undoubtedly a nation full of cricket lovers. We love the game more than any other. In fact, field hockey, which was previously considered to be the ‘National Game’ of the country before an RTI from the Sports Ministry quashed this claim in 2012 (yes, India has no ‘National Game’ anymore), has always received the stepchild treatment when compared to cricket. Even football, one of most popular games in the world, has a comparatively lesser following in India when compared to cricket. Let’s take you to the next level and show you how India goes nuts when it’s cricket season. Cricketers don’t just get Bollywood superstar-like treatment, fans put them on the same pedestal as their gods. By this we’re not referring to Matthew Hayden’s famous quote, “I have seen God. He bats at number four for India.” We’re talking about actual temples that have statues of cricketers being worshipped like deities, with Vedic hymns et al! Cricket lovers aside, cricket season is also advertisers’ favourite time of the year. Look at it this way, you know for a fact that millions will be hooked on to the game, so you are almost guaranteed a viewership of massive proportions. Companies pay millions of rupees to get their brands a spot at the stadium or on TV. Audiences will only see ads in the stadium till the time they are there. The same logic works for TV. Till the time audiences watch the match, you can engage them with your ads. But what happens after that? How do brands ensure that that they continue to engage their potential consumers? Is there any existing solution that is cost-effective and is in sync with their existing marketing strategy? And what about brands who don’t want to spend as much on traditional advertising channels? The answer to all these questions is a very simple one — digital advertising, and we would especially stress on mobile games. Before you think this is a far-fetched idea, let’s give you some perspective. Needless to say, mobile has emerged as a strong medium in recent years, and mobile games, in specific, have grown colossally to become a favourite leisure activity globally. Considering Indians’ love for cricket, it is a favourite in the sport genre with more 30 million game viewerships on mobile. 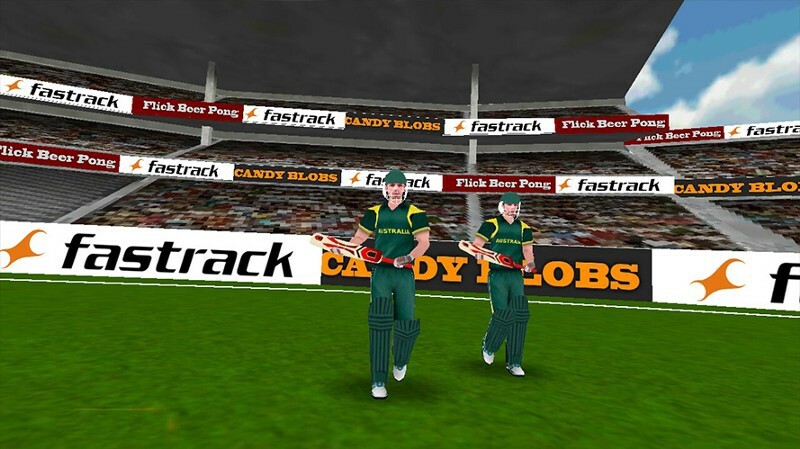 The average collective time spent on cricket games is approximately 7 million minutes. That is nearly 14 years in one day, and we’re not even counting the effect that ‘cricket fever’ will have! Moreover, as opposed to targetting everyone, including those that do not fall in your target demographic, opting to advertise on mobile lets you choose your audience based on certain parameters such as location, segment (mothers, teens, young professionals), purchasing power, behaviour, etc. So with February 24 rapidly approaching, it’s time to think long and hard about what your brand’s advertising strategy will be. Will this year’s cricket season do wonders for your brand image or will it be just another event in your advertising calendar? You decide.